Behold the Clown Prince of Crime! The Joker from the Batman: Arkham Knight action-adventure video game. Exceptionally detailed, limited edition 1:10 scale statue. 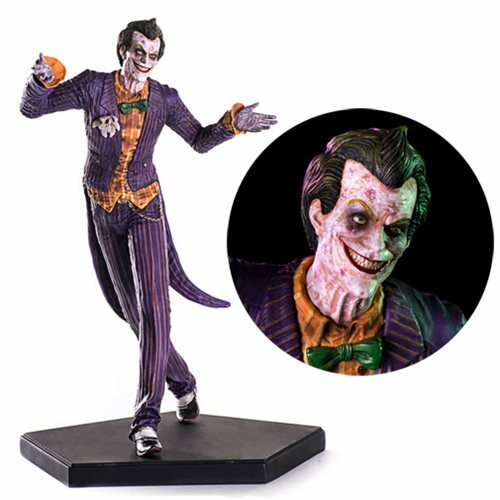 Based on the Batman: Arkham Knight action-adventure video game, this exceptionally detailed Batman: Arkham Knight The Joker 1:10 Scale Statue is a limited edition that includes a display base. Based on original 3D references from the game, it measures about 7 1/2-inches tall and is made of hand-painted polystone. Ages 15 and up.